Keystone Resort, located in Summit County, Colorado, sits 100 miles west of the Denver International Airport. Keystone caters to families and kids with a variety of programs and activities, including Kidtopia, which offers free daily activities and events. Other kid-friendly activities include a play park, wagon rides, snow tubing and snow fort. Keystone’s terrain is spread across 3,148 skiable acres, three distinct mountain peaks, 20 lifts and 128 runs. 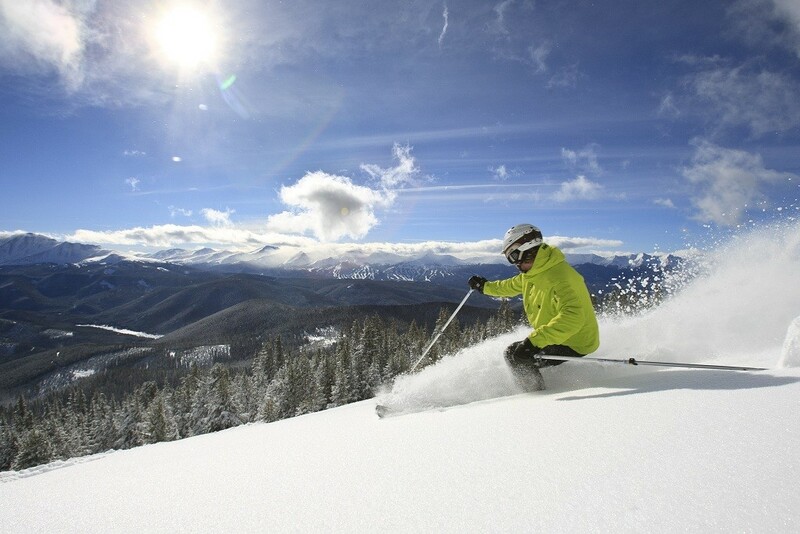 With a base elevation of 9,280 feet and a summit elevation of 12,408 feet, Keystone delivers 3,128 feet of vertical. For skiers and riders looking to progress their skills or simply venture beyond the intermediate groomers, Keystone is home to the A51 Terrain Park and an in-bounds cat skiing program. Powder hounds will find their best turns in Keystone’s five above-tree-line bowls. Keystone offers night skiing across multiple lighted trails during weekends and holidays. Keystone’s River Run Village is home to multiple restaurants, shops and lodging options. Keystone Resort is spread across three mountain peaks and boasts great tree skiing, wide open groomers, access to cat skiing, five mountain bowls and Colorado's most expansive night skiing operation. Keystone also contains the A51 Terrain Park, one of the best in the country with more than 100 features and 60 acres to get your style on. The ski resort's three mountains are Dercum, North Peak and The Outback. Dercum Mountain has long green and blue runs that are perfectly groomed and a great place for beginners and intermediates to explore. North peak is home to long mogul trails, intermediate groomers and some expert terrain. The Outback is Keystone's tallest peak and provides advanced and expert skiers and riders with a plethora of terrain possibilities. Be sure to check out Keystone Adventure Tours to access some of the ski area's best terrain via the comfort of a heated snow cat. Keystone is also a great option for skiers and snowboarders looking for an easy day trip from Denver. The resort is in close proximity to I-70 and accessible over Loveland Pass or through the Eisenhower Tunnel. Keystone Resort offers visitors multiple dining options from on-mountain cafeterias to award-winning restaurants known for serving up local ingredients. The two villages, River Run Village and Lakeside Village, offer shopping, restaurants, ski shops and lodging. The resort is very kid-friendly and has an extensive ski school program, nursery facilities and child care. Keystone is home to Kidtopia and claims to have the world’s biggest snow fort. Aside from skiing, additional available activities include: snow tubing, snow biking, dinner sleigh rides and ice skating. Ski rentals are available at the base areas; snowshoe and cross-country ski rentals are offered at Keystone's Nordic center. Get Snow Reports, Powder Alerts & Powder Forecasts from Keystone straight to your inbox!